For some, allergies are a sure sign of the changing seasons, just as much as buds on trees. A few simple lifestyle adjustments can go a long way so you can breathe easy. Whether you are a seasonal allergy sufferer or are experiencing symptoms year round, you have options when it comes to treatment. Your symptoms may include: runny/stuffy nose, itchy eyes, sneezing, sinus congestion, fatigue, headaches and more. Conventional (Western) medicine has a drug for all of those symptoms, which work well for many people. Antihistamines, decongestants, nasal sprays, or eye drops can be just a few that address the symptoms (branch) of allergies. However, they do not treat the cause (root). All of these drugs can address the branch of the problem, however they include side effects including drowsiness, fatigue, anxiousness, anxiety and an over-suppression of the immune system. Read more on the surprising, lesser known side effects of allergy medications. So, what is causing your allergies? An allergy may happen when your immune system reacts against an otherwise harmless substance (ie: pollen, dander or grass). In it’s action of defense, inflammation, irritation, and increased mucus are often a result. According to Chinese Medicine, we diagnose each person individually and look for patterns of disharmony or imbalance. No two allergy sufferers are alike, because each one of us has a unique underlying pattern. 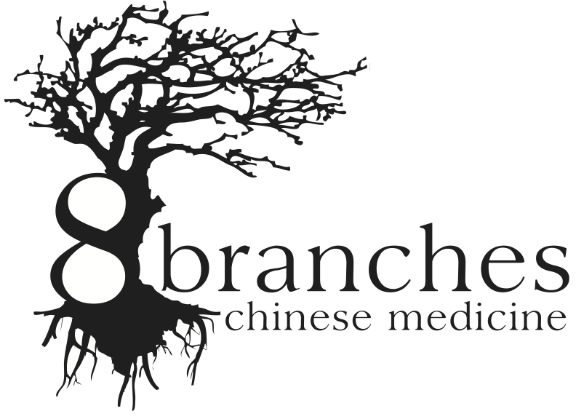 Chinese Medicine involves a holistic approach, addressing the root cause of your symptoms as well as treating the branch or symptoms themselves. A comprehensive treatment combining acupuncture, acupressure massage, herbs, dietary and other lifestyle changes seems to work best for our patients. The better you are able to care for your body, the better you will feel. 1. WATER – Increase your water intake and drink it at room temperature, avoiding ice. Add a little lemon for flavor and it’s cleansing benefits. You can also use water as a rinse with a neti pot or nasal wash to flush out your sinuses. Here’s a great product we recommend for kids and adults that makes rinsing easier. 2. CUT OUT IRRITANTS – Reduce your chemical load and learn more about the toxins in your home. What you put on your body, in the air, and use to keep clean may be causing more harm than good. Limit your exposure to synthetic fragrances, harsh chemicals, and unnecessary toxins that you may be unknowingly exposing your littlest family members to. Here’s a list of harmful chemicals to avoid in your personal care products. Find out more on ways to keep your house clean with out the toxins. 3. FOOD AS MEDICINE – Limit dairy, and excessively sweet or spicy foods. Foods that are rich in Vitamin C – This is a natural antihistamine and can be found in citrus fruits, kiwi fruit, broccoli, spinach, strawberries, melon and cabbage. Beta-carotene is an anti-oxidant that supports the respiratory system. Eat yellow and orange fruits, such as mangoes and papayas, orange root vegetables such as carrots and yams and green leafy vegetables such as spinach and kale. Quercetin can also decrease inflammation. Eat onions, red grapes, apples (with the skin on), tomatoes and leafy green vegetables. 4. GUT SUPPORT – Try a probiotic or digestive enzymes. At 8branches we carry Standard Process whole food support products. Multizyme, a digestive enzyme and Prosynbiotic, a probiotic with inulin(probiotic food) are two that may help with gut health. Other suggestions for allergy sufferers may include customized support products, omega 3s and fermented foods. 5. MOVE – Regular exercise with deep breathing helps keep everything moving, including our qi. Don’t fear the outdoors. Prepare for the season by starting your preventative routine before your symptoms are at their worst. 6. ACUPRESSURE – Our favorite at-home acupressure relief treatment comes from Sara Calabro and incorporates six points on the face (three points symmetrically on both sides) and another point at the ankles. Just 7 points to press your way to reliefand aid to prevent allergy symptoms. At 8branches, we prescribe different routines for kids and adults with the many allergy relief points. 7. ACUPUNCTURE – A great way to reduce inflammation, promote immune function, reduce mucus and open the nasal passages. Relief from each acupuncture treatment is immediate for most patients. A course of 8-12 weekly treatments is recommended to have the most impact on your overall condition. We use needle-less treatments for children and offer ear seeds and magnets to enhance the effects of treatment. 8. HERBS – Herbal formulas like Bi Yan Pian, Pe Min kan Wan and Xin Yi San are all great for springtime. Consult your practitioner which formula is best for your symptoms.